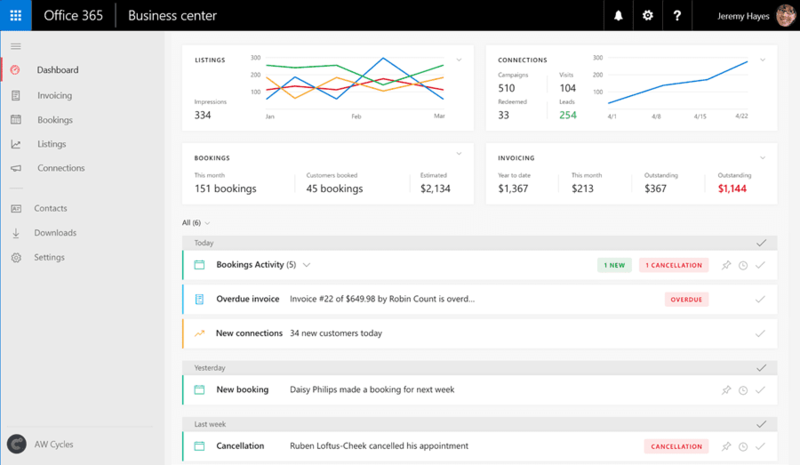 Attention Office 365 Business users – useful new apps! Microsoft do have a habit of adding a succession of relatively mediocre new applications to their office 365 suite. Often these are reinvented version of exciting features or an app that has been freely available elsewhere being merged with Office 365. However, starting with the recent release of Outlook Customer Manager some genuinely useful features are coming along which could improve the day to day productivity of your business. The best way to describe Connections is Microsoft’s version of MailChimp. 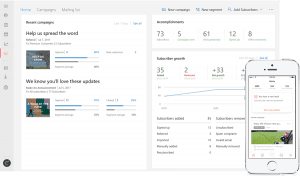 Connections allows you to curate emails for your marketing campaign and send them to a mailing list which might come from a spreadsheet, you Office 365 contacts or from other Office 365 business apps. You even have specific options for requesting referrals and providing incentives for doing so. Microsoft listings is a tool for creating a centralised profile to describe and market your business. Listings can then push this out to Facebook, Google, Bing and Yelp so you only have one profile to maintain. 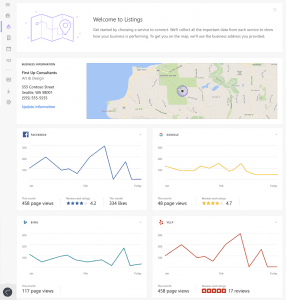 Listings will then track activity across each of these directory sites to make it easier to understand your feedback and on line reputation. 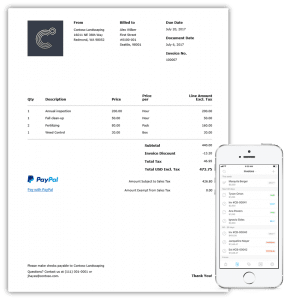 Invoicing allows you to produce estimates and invoices for your customer, send them and then track and process payments. By integrating with PayPal you can accept credit and debit cards online and with the built in Quickbooks connector you can synchronise the data back to your accounts system. Our favourite new app is MileIQ. This is actually an application which was purchase by Microsoft and is being incorporated into Office 365. Essentially it is an app that sits on your phone and records and tracks when you are driving. The miles are logged and you can easily choose by means of a screen swipe whether they are personal or mileage. You can then easily report on mileage at the end of the work saving and complete your expense reports far quicker. MileIQ can be trialled here. Bruce P 2018-01-03T11:51:11+00:00 July 20th, 2017|Productivity|Comments Off on Attention Office 365 Business users – useful new apps!